So here’s my advice for that 44 percent of Republicans, and everyone else who doesn’t like the way the elections turned out in 2012: Run better candidates than Mitt Romney. Get with the times on immigration, marriage rights, and renewable energy. Accept that it’s not 1950 anymore. Those things won’t fix all of your problems, but they’re more sensible than endlessly trying to repeal Obamacare. 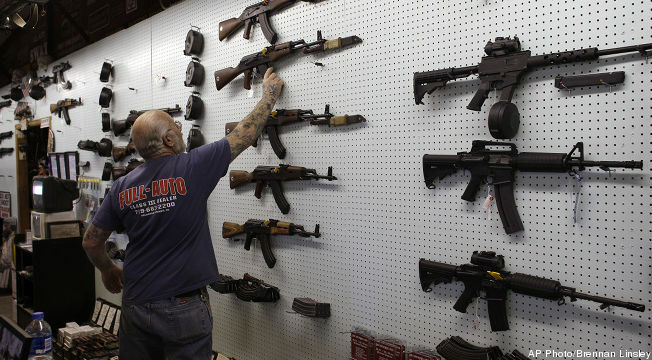 And about that armed rebellion? It’s been tried once before, and it didn’t end well for anyone. Give that some thought before you answer any survey questions in the future. President Obama will win reelection. I think he wins a majority of states, and probably 350+ electoral votes. Lots of money will be spent, and the media will try to make it a “down to the wire, anybody can win” race, but it won’t be close in the end. Obama won’t even have to break a sweat. Mitt Romney will win the Republican nomination. The primary season will fizzle out after the big Super Tuesday results, and nobody will be able to stop Romney as he runs away from the field. Nobody–Ron Paul included–will mount a third party candidacy for President. Such campaigns are ultimately doomed to fail, and Paul and his people will decide not to go there. To follow up on my earlier post with a number of pieces about the Republican nominee for President, here are some more of the thoughts that have previously appeared in this space. I worked one of my favorite writing topics, the music of Bruce Springsteen, into a post that appeared in early August. To the surprise of no one, Obama has since received the Springsteen endorsement. When Romney named Paul Ryan as his running mate, they got into some trouble with musicians who weren’t willing to lend their music to the Romney campaign. I wrote this piece near the end of August. 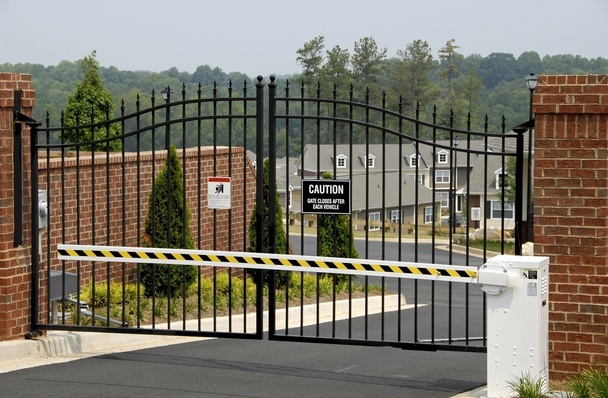 I found myself in Florida at the same time that the Republican convention was gearing up, and I came face to face with a gated community. Of course, I wrote my thoughts on this matter and put them in this space. I also found an assertion of the “You didn’t build that” theme when I was in Florida. It wasn’t long after I returned home that I poked some holes in that argument. I stayed away from politics for the rest of September, but as October rolled around, that began to change. It started with a discussion of the circumstances surrounding Romney’s run-in with the law back in 1981. 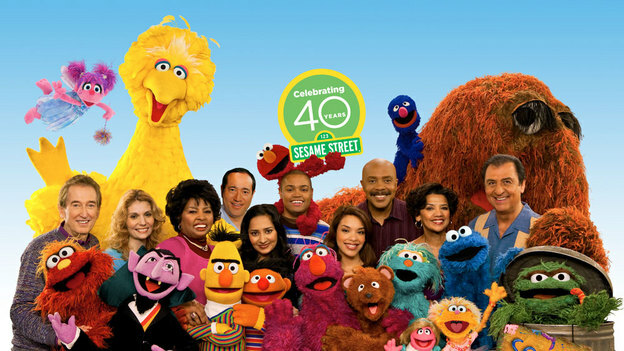 Romney’s promise to cut off funding for PBS in the first Presidential debate sure caught my attention. This is the type of message that I write this blog for. The second Presidential debate wasn’t really going to change anyone’s mind about who to vote for, but it did get me thinking about pizza. Early voting starts soon, and election day itself is almost here. I won’t miss writing about any of these topics, either. During the Republican primary season, I wrote this in response to the suggestion that those who didn’t like Romney were envious of him. In May, the story of the Cranbrook assault in 1965 came out, and I wrote this piece wondering how the candidate could possibly forget what he had done. With Cranbrook still on my mind, I wrote this piece comparing Romney to Draco Malfoy. It’s still one of my favorites. In July, as the tax returns controversy was going on, I wrote this about what Romney’s behavior was saying to me. Toward the end of July, during that disastrous foreign trip that he made (remember “Romneyshambles”? ), I wrote this story that I had learned about on a trip to Boston. In early August, I responded to a deliberate misrepresentation of “You didn’t build that” with this piece. The very next day, I decided to let the letters in the candidates’ names speak to me, and this is what they said. And this just takes us up to the eve of the Republican Convention. We’ll pick up there with the next post. The only reason I’m familiar with this song is that it was on a sampler CD that I won from the Loop in Chicago when I was in college. It was 1988 or 1989, and I didn’t even own a CD player at the time. It was the first CD I ever owned, and it did have a few good songs on it. This song doesn’t exactly qualify but I still remember it, all these years later. This song now seems relevant, because one Willard M. Romney got himself arrested back in 1981. There’s certainly no shame in that; People get arrested all the time. Here’s a few hundred mug shots to prove it. But the events around that arrest aren’t supposed to be known by people like you and me. Why? Because Willard M. Romney, who goes by the name “Mitt,” had the records sealed at the time. The fact of his arrest became known to a newspaper back in 1994, when Willard M. Romney was running to become a U.S. Senator in Massachusetts. The would-be Senator claimed that he was released without bail, and the charges were later dropped. No harm, no foul, right? It seemed that way at the time, at least. But things changed today. The unsuccessful would-be Senator now wants to become President. He wants to have the fate of you, and me, and theoretically everyone living on this planet in his hands. So he damn well better be forthcoming with us, about everything. But forthcoming is something he hasn’t been. He told the SEC he was running Bain Capital, even though he told We, the People that he wasn’t. He told the IRS about his Swiss bank account, but he also hid that from We, the People. And now it appears what he told the newspaper reporter back in 1994 about his arrest in 1981 wasn’t truthful, either. Even though the arrest record was sealed at Romney’s request, there was a newspaper account of it published by a newspaper in Natick, Massachusetts. When I was a kid, the local paper in my hometown ran a Police Beat column, which was probably the same thing: “Such-and-So was arrested at 2 AM on Sunday morning for driving the wrong way down a one way street.” And so it was with Willard M. Romney of Belmont, Massachusetts. Something about a boat and a license and disorderly conduct. The facts aren’t really all that important, so many years after the fact. But, again, it’s the gap in his memory about what happened that’s more troubling than what he actually did. He said he was not required to post bail, but the newspaper account claimed that he was “released on bail.” So which is it? Was the newspaper wrong in its reporting, or was Willard M. Romney fudging the truth when he spoke about it back in 1994? I think I know what the answer is, but I’m also willing to keep an open mind. Let the facts come out, and then, if there was an error by the newspaper, they can print a retraction. 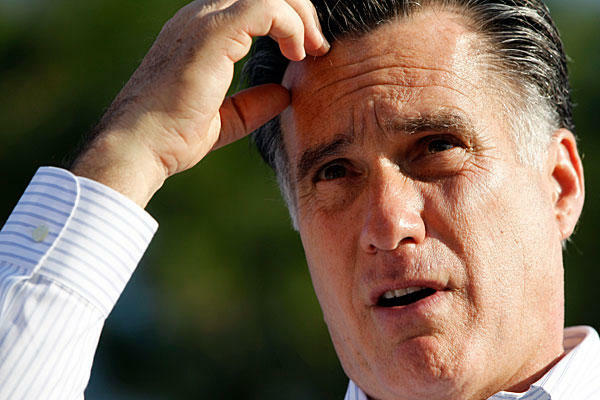 If, however, the error was with Mr. Romney, it’s just going to feed the idea that he can not be truthful about his past. He claims he can’t remember the Cranbrook assault, even if everyone else who was present claims that they do. And in the early 1980s, when he no longer was the governor’s son, he once again found himself in a spot that all of us would remember, if it were us in his shoes. You bet I would remember whether I had to pay money in order to make sure I showed up in court. Who wouldn’t remember that? Again, the fact that he was arrested means nothing at all to me. But what I want to know is how truthful was he being about that arrest? If he can lie to us now, and still expect to get our vote, then what’s to keep him from lying about anything and everything under the sun once he’s the President? I don’t want this man to win the election for many reasons, but his apparent lack of truthfulness could be the biggest one of all. If Willard M. Romney can’t level with us, or release the arrest records to reveal what the truth of the matter is, then he has no business taking the presidential oath of office. That would probably be just another lie he would tell us, anyway. One of my favorite websites is the anagram finder at wordsmith.org. It’s fun to take someone’s name, enter it into the finder, and see what comes up. Sometimes, the letters form words that indicate something about the person in general. For instance, an anagram for Clint Eastwood is “Old west action” and, judging from the movies he’s been in over the years, it would be hard to argue that this doesn’t apply. I put in the names of the President and his apparent rival into the anagram finder, and got some interesting results. “Barack Obama” yields things like “Maraca Kabob” and “Boa Cab Karma” with the words “Back” and “Karma” coming up over and over. But nothing too exciting or relevant, I thought. Then I typed in “Mitt Romney” and saw what came up. “Metro Minty” was sort of funny, and “Me trim Tony” is strange and humorous at the same time. But I noticed a pronounced pattern among the anagrams that came up: Most of them contained the words “I”, “me”, “my”, or “mine”, none of which can be found in the name of his opponent. And it seems very fitting for these words to be in there, in my view. Mitt Romney has done extraordinarily well for himself over the course of his life. But what’s good for his “me” isn’t, and won’t be, good for the royal “we.” He’ll make out very well, if he should win the election, but there’s no reason to suspect that his good fortune will be America’s, as well. And the anagram finder thus revealed something that I suppose I already knew. 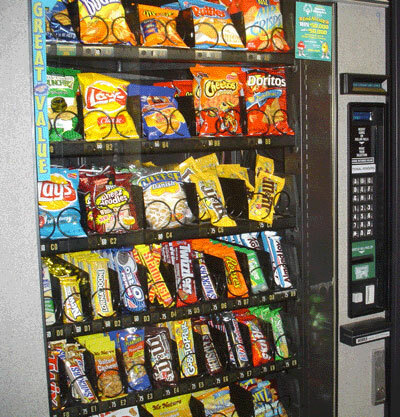 There’s a vending machine in the office where I work, and on most days it gets no money from me. But today was different. It was the middle of the afternoon, and instead of getting up to get myself a cup of coffee–I love coffee and will probably drink it every day until I die–I went to the vending machine to see what a dollar could get me. I was in a Snickers kind of mood, and when I pressed the numbers for the Snickers bar, the machine did its thing and the candy was dispensed. And then, since the candy bar cost 85 cents,the machine gave me back a dime and a nickel. As I picked up the candy bar and my change, I looked at the two coins in my hand. Fifteen cents can’t buy much of anything anymore, and they could have just made the price a dollar, and I still would have paid it, anyway. I wouldn’t pay more than a dollar, but the act of getting something back, no matter how small an amount, probably makes some people feel like they aren’t overpaying. But then I started thinking about a story that appeared online today, in which Senator Harry Reid claimed to have heard from a Bain investor that Mitt Romney paid no taxes for a period of ten years. I thought about how absurd it was for a vending machine to give me more money than a multi-millionaire (several times over, at that) gave to the government for a decade. It’s wrong on every level, if Romney went any length of time without paying his taxes. In order to refute these charges, since they came to the Senator from an unnamed source, the one thing that Romney can do is release his returns. If I’m paying taxes, while he isn’t, that makes all of us who do pay taxes into chumps. And, more importantly, it shows a serious lack of moral character on behalf of someone who would think they do not need to pay any taxes whatsoever. Romney and his family have benefitted from the use of bridges, roads, airports, shipping lanes, food inspection, police and fire protection, and a host other services that were provided to him by the taxpayers. If he accepted any of those things, and then refused to kick in ANYTHING to help pay their costs, then how could such a man ever be trusted to run this country? I pay my taxes, maybe not gladly, but willingly because I realize that I get something in return for it. 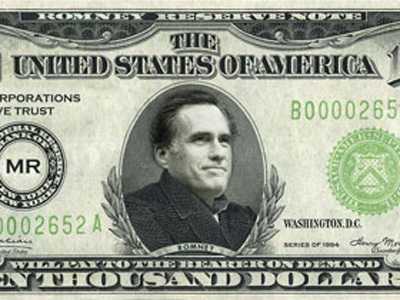 Romney, on the other hand, decides that he needs to pay nothing at all for the services he enjoys. That makes him a crook, in my mind. Whenever you get something, as he most certainly did over those ten years, you must be willing to pay for it. And if there was no payment made by the Romneys, then they will have stolen from us all. Their refusal to pay means that the rest of us must pay more to cover their share, and this is a lot more than I am able–or willing–to afford. I wasn’t going to vote for this man months ago, and these revelations about his tax situation haven’t done a thing to change my opinion. But there must to be some in this country who pay their taxes every year, and don’t appreciate how Romney seemed to think that taxation somehow didn’t apply to him. If the story is even partially true, and people learn about it and still vote for Romney anyway, then there’s really no hope for any fairness at all. And if skipping out on tax liability–and massive tax liability, at that–doesn’t disqualify one to lead this nation, it’s hard to imagine what might. Mitt Romney’s gone across the pond, and so far it’s not gone well for him. If the idea was to make him seem presidential on the global stage, it’s turned into just the opposite. If you don’t believe me, consider that #RomneyShambles is the top trending item on Twitter as I write this. It won’t be that forever, I know, but this is entirely self-inflicted on his part. What seemed to get the ball rolling, so to speak, was the Romney adviser who claimed that President Obama did not understand the “shared history” between the United States and United Kingdom. The advisor who supposedly said this has not been named publicly, and Governor Romney has disavowed it, but it’s still another case of trying to paint the President as an outsider, as the “other.” Never mind that tens of millions of Americans thought otherwise in 2008, and will vote for him again when the time comes this fall. 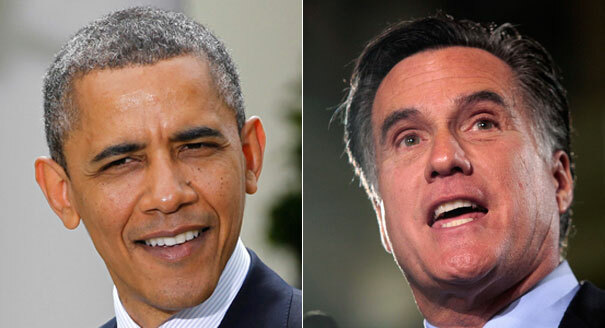 But Romney understands that special relationship in a way that Obama can not, at least in his advisors’ warped minds. But the “shared history” between the two nations isn’t all goodness and light. Yes, the British are our ally today, and have been for 100 years. But go back a bit further than that, and you’ll find it was once a different story. In 1768, John Hancock of Boston was suspected of illegally importing madeira wine from Portugal on his boat, named the Liberty. The boat was then seized by British ships, who were enforcing a duty on imported goods like madeira wine. 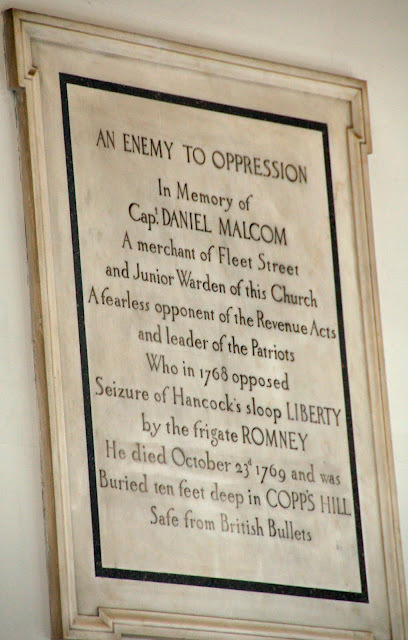 Patriots like Captain Daniel Malcom objected to this seizure, and unrest raged in the streets of Boston. It became known as the Liberty Affair, and gave Malcom and others in Boston another reason to hate the unelected and tyrannical king of the nation that is now our ally, but once upon a time was an oppressor unlike any other. Captain Malcom’s role in this affair has been immortalized for centuries on the walls of Boston’s Old North Church, and a copy of this tale appears above. But the most humorous and ironic part of it all is the name of the British frigate that was at the center of the whole thing. Fittingly enough, the frigate was named the Romney. You can’t make this stuff up. Is there any connection between a British ship from 1768, and the man running for President in 2012? Not directly, no. But the name itself serves to remind us that this “shared history” isn’t without its blemishes. Which country once set fire to the White House, and attacked Fort McHenry as Francis Scott Key got the idea for the “Star-Spangled Banner“? And here’s a hint: The Kenyans had nothing to do with it. I’m not terribly political in this space, generally, but I’m also not afraid to wade into the murky swamp of politics on occasion. I used an aching back to question something that Mitt Romney once said about people being envious of him. I compared Romney to Draco Malfoy at one point as well. So there’s some precedent for what I’m going to say in the next few paragraphs. The idea that Mitt Romney can run for president, and still keep his tax returns a secret, is preposterous on its face. I didn’t set up the rules of this game, where it’s a customary thing for aspiring politicians to let the people know details about their personal financial life. But Mitt Romney had to know that people were going to expect to know about where his money comes from, and how much of it he gives back–or doesn’t give back– to the government. If releasing his tax returns would cause Romney some personal embarrassment, the smart thing to do would have been taking a pass on running for president in the first place. But he chose to run anyway, apparently thinking that releasing tax returns is something that wouldn’t apply to him. A man with anywhere from $20 to 100 million in his own IRA probably thinks that he can buck the system, or tell the people to go shove it when they want to see what else he has to his name. For myself, I’m not really too interested in where all of his money is. I would question, however, whether he gives more of his money to the Church of the Latter Day Saints, or to the United States of America. One of these amounts doesn’t affect me in the least, but the other amount is of great interest to me. It’s a fair question to ask of a man who would be the leader of this nation: Do the Mormons get more of your money than the Americans do? And if so–or if the two numbers are even remotely similar to each other–what does that say to the non-Mormons among us? Church above country, perhaps? That’s how it was for him in the 1960s, when he was a Mormon missionary living in a French castle, while other men his age were fighting and dying in Vietnam. Can a nation founded on the principle of religious freedom abide a president who doesn’t hire accountants and hide his money offshore and lowball his income when it comes to tithing to his church, but then does all of these things and more when it comes to paying his taxes? Since this country is deep in debt, and needs all the revenue it can find, doesn’t Romney’s ducking and dodging seem contrary to the idea of helping to get this nation back on track? By refusing to release his tax returns, Romney has already given us all a clue about how he would conduct himself in office if he wins in November. And it’s not a pretty sight, so far as I can tell. He’ll do whatever he wants, thank you very much, and those who don’t like it can just shut up. That’s maybe the best reason of all for denying him the presidency to begin with. By now, everyone knows the story of Harry Potter. J.K. Rowling’s tales of the young wizard and his years at Hogwarts became runaway successes, the likes of which we might not see ever again. A generation of kids have grown up knowing about muggles and horcruxes and he-who-must-not-be-named. Writing these tales certainly changed Ms. Rowling’s life, but it can fairly be said that it changed many of our lives, as well. 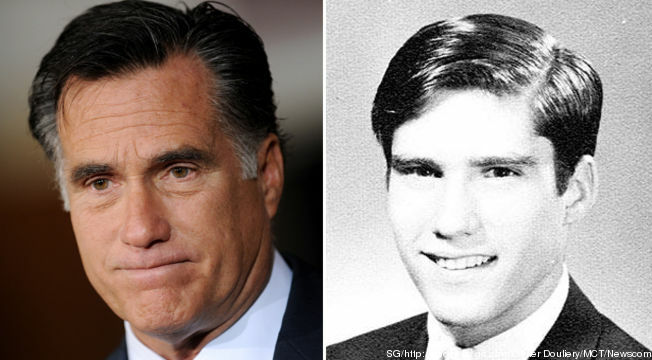 The story of Mitt Romney and what happened at Cranbrook back in 1965 has parallels to the story that Rowling told. I’ve never seen Cranbrook School myself, but it conjures up (no pun intended) the same kind of images that Hogwarts School does in the Potter books: otherworldly architecture, a romanticized setting, something unlike the schools that most of us attended. We might have gone to a school like Central High School or George Washington Elementary, but nobody much wants to read about that, do they? Draco Malfoy is Mitt Romney, who knows that he will be protected by the wealth and standing of his parents, no matter what he does. Nobody who reads Rowling’s books, or watches the movie adaptations of them, identifies with Malfoy, since he is the little jerk who assumes–correctly–that he can do as he wants to, and nobody can put a stop to it. We identify with Harry and his friends, or possibly even with Neville, knowing all too well what being on the receiving end of physical and mental abuse can feel like. 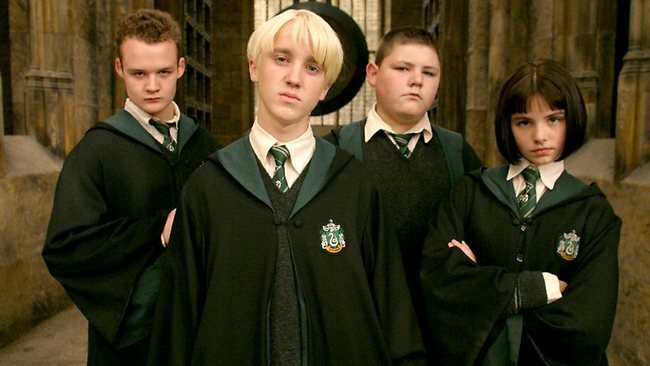 We can’t very well identify with Crabbe and Goyle, because they’re Malfoy’s enablers. We all hate Malfoy because we should, so long as we live in a decent society. And Mitt Romney perfectly fits the bill as Draco Malfoy, in the events of 1965 at Cranbrook School. If Romney can’t acknowledge his Malfoyish ways back then, and throw himself at the mercy of Neville Longbottom (who, regrettably, isn’t with us to tell his side of the story) and everyone else for having behaved the way that he did, then how could we choose such a man to run the country that we all love? I can’t imagine how we would ever do that. I’ve done some things in my life that I can’t remember. All of us have. Like a sponge that can only hold so much water, our brains–and memory is included in this–have to purge themselves on a regular basis. But there are plenty of things that I’ll never forget. I’ll never forget running into the bumper of my parents’ car and breaking my leg when I was seven years old. I’ll never forget learning all the lines for a big role in MASH in three weeks, after the guy who originally had the role quit unexpectedly. And I’ll never forget saying goodbye to my grandma–my last living grandparent–more than a decade ago. There are many other things, too, but the ability to hold onto these things in our memories is a part of what makes us human. If I ever did something like cutting another person’s hair off, while they cried and pleaded for help, I can imagine that I would never forget it. The humiliation felt by the person who was violated in that way would be devastating, but the person who inflicted this humiliation shouldn’t be able to just block it out from their memory. Doing so would be a grotesquely callous act. And if they remember it, but then deny that memory in the hope of earning what amounts to a mulligan, that’s even worse. Neither situation demonstrates the type of human empathy that I want to see in someone who wants to a leader. Mitt Romney–who I wouldn’t vote for, even if he held me down and cut my hair off–deserves no benefits, no breaks, and no favors for the revelations that were made in today’s news. He got all those benefits many years ago when, as the son of a sitting governor, he was able to do what he did to another human being and then got away with it. There were no consequences, no punishments, no sense of justice for the one who was assaulted in this way. 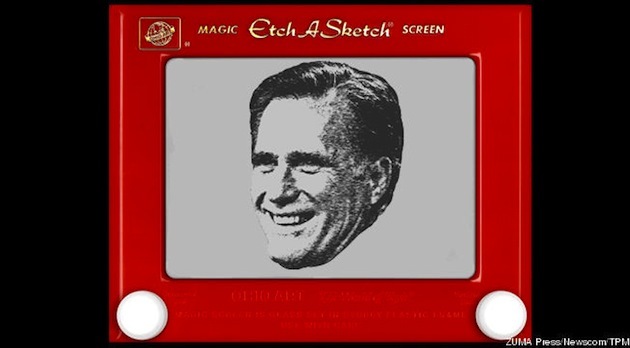 Until this morning, Mitt Romney had simply gotten away with it. Anyone who has ever been picked on or assaulted, and anyone who has ever stood by and watched as someone else absorbed abuse, knows what kind of person does this sort of thing. And Mitt Romney, at least on a day back in 1965, was such a person. Can he now claim that he doesn’t remember doing what five separate people claim that he did? That’s the approach he’s trying to take, but he’s not the governor’s son anymore. Mitt Romney is now trying to become the governor not just of a state, but of the entire country. And we, as those he is seeking to govern, have the right to take this incident into account. If ever he was qualified to be president (and I don’t think he was), this offers a window into who he was in 1965 when he did this, and who he is today when he claims he doesn’t remember the incident. And neither of these Romneys is presidential material, in my view.